FRANCE: Renewables will supply 40% of France's electricity demand in 2030, according to the energy transition law adopted by the French parliament. 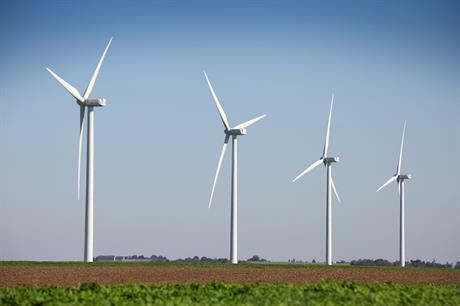 The target will mean adding around 2GW a year on average, French wind energy association FEE estimated. The main provision for wind sees the trial of a single permit for onshore installations extended throughout mainland France. The law also makes it easier for local residents and authorities to own shares in wind power plants, with the aim of improving acceptability. The minimum distance between a turbine and housing remains at 500 meters — after an amendment increasing the ban to one kilometre was finally rejected — but the local authorities can now increase this distance for an individual project, depending on the impact study. The law also lays the foundation for a top-up mechanism to replace the guaranteed premium purchase price, in line with EU guidelines. While broadly satisfied with the law, the industry will be keeping a close eye on its structure, which will be detailed in a later decree. In the first six months of the year, the country added 523.7MW of new wind capacity, bringing total installed capacity to 9713MW, according to figures recently released by FEE. The country is on track to install 1200MW this year, continuing the increase in activity seen in 2014.